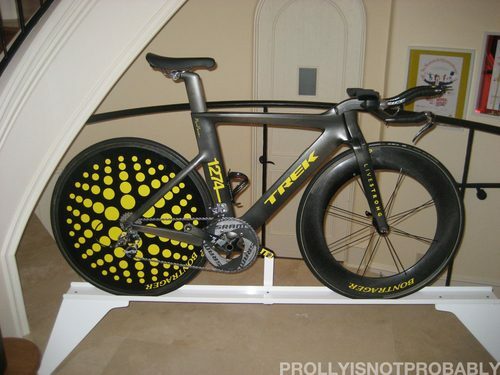 Could you imagine having Marc Newson’s Speed Concept bike as the featured piece in your art collection? Front and center, right as you walk in your front door? A reader is an artist-assistant whose clients purchased one of the Stages bikes from the recent Sotheby’s auction. 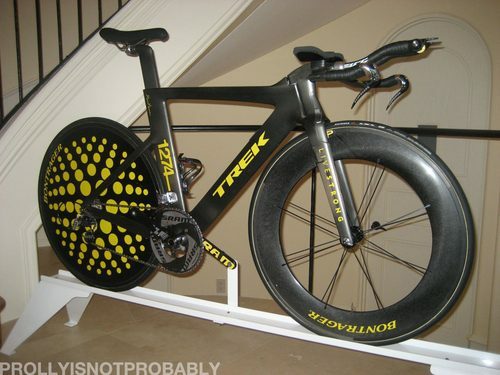 The Newson bike fetched $110,000 at auction. The Bikes of STAGES auction on November 1st at Sotheby’s in NYC, has resulted in a donation of $1,125,000 going directly to The Lance Armstrong Foundation to help fund outreach, awareness, research, and advocacy.